Special assistant to the Governor of Bayelsa State on student affairs Comr. 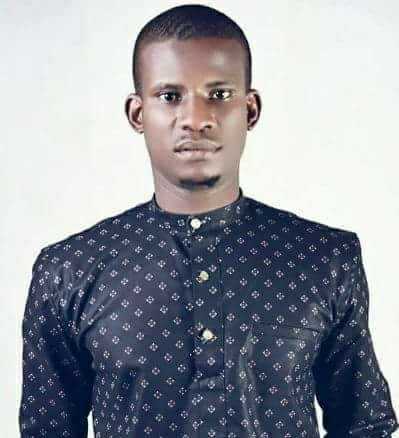 Atti Joshua Moses has encouraged the youths of Bayelsa State to join hands in building the state in every aspect, not minding their political differences. The youth leader tasked the youths of the state to love and support one another with the aim of creating a better Bayelsa, irrespective of their political parties and Godfathers. “I feel like crying my soul out when I see People play Politics of bitterness, envy, lies, Greed etc just to Please their Political Leaders or score cheap political growth , which has really overturned the ideal of Contemporary Politics. “Growing up in Bayelsa State to Witness 4 successive Administrations was the best Political Experience i have ever had. Because i was opportune to witness different method of Administrative Programs and Policies. “If we must grow fast as a State we must jettison every political stupidity and work collectively to build the Bayelsa State of our dream because PDP and APC will come and go but Bayelsa will remain and we will all live to reap the evil or good we have planted in our soil. “Our Political Elites should make deliberate efforts to unite the Youths of Bayelsa State because if they must live a Legacy it must exist in the body of the Youths , Political affiliations and Interest shouldn’t prompt you to encourage your Faithfuls or Loyalist to Disrespect your Contemporary or another Leader and also carrying out violent attacks on perceived oppositions. “I am making this deliberate effort to raise these issues because of Perceived Large Scale violence in the forthcoming Elections in the State and the Sooner we get rid of act of Petty Politics the better for us. “Lets Play Ideological Politics to defend the Ethics and Manifestoes of our Individual Parties not to defend the Taste of Political Key Players flying like angels from one Party to the Other in a bit to feed their Political Egos and Interest . “We must be extremely conscious as Youths to build the Bayelsa State of Our dream and if you are a Loyalist to HE Seriake Dickson or HE Timipere Sylva its inconsequential what is import is the growth of our dear State, our Political Leaders should use their powers to attract development and investors to our State and our Youths should use their Portfolios , Appointments, engagement etc to contribute their quota to the building process of Bayelsa State. Because i believe that we will surely get there” Comr Moses said.